6 of the scariest videogames ever made. Play them this Halloween! Halloween is drawing near, which means it’s time to subject yourself to all kinds of horrific and terrifying experiences in the name of…erm, fun. Forget horror films and rubbish costumes, though: if you really want to scare yourself, try playing one of these ridiculously terrifying videogames…if you dare! Muhahahahaha! 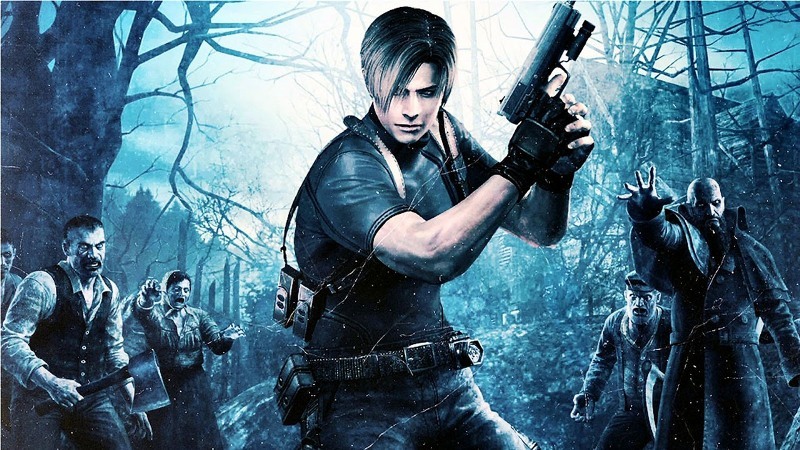 You have to feel for poor old Leon Kennedy, the star of Resident Evil 4. After being subjected to the horrors of a zombie-infested Raccoon City in Resident Evil 2, he is sent to investigate a backwoods European village where the residents have been acting a bit odd. By odd, we mean that they’ve turned into bloodthirsty psychopaths who enjoy throwing axes at people’s heads. Oh, and there’s a bloke with a sack on his head wielding a chainsaw too. Resident Evil 4 is easily one of the most intense gaming experiences ever; there’s honestly nothing scarier than being chased by a gang of zombie villagers (and the aforementioned chainsaw bloke) with a single bullet left in your gun and your health bar dangerously low. Where do we even start with this one? Silent Hill 2 tells the story of a poor bloke whose wife has gone missing in a fog-shrouded US town (yes, those are alarm bells ringing). When he gets there, he finds all kinds of monstrosities, including zombie nurses with no faces, weird mannequin monsters that have legs for a torso and (scariest of all) a weird chap with a giant pyramid for a head and a honking great sword. To top it all off, Silent Hill 2 has a mind-bending psychological horror plot that explores grief, repressed memories and murder. Enjoy! If you find The Grudge and The Ring scary, then you’re just going to love Project Zero II (known as Fatal Frame abroad). The game throws you into a haunted house full of just about every Japanese horror cliché imaginable – there are scary little (dead) girls, creeping zombie-ghosts with hair covering their face and some of the most horrific noises we’ve ever heard. Best of all, the only way you can defend yourself is by taking pictures of said ghoulies with a ‘magic’ camera. As if that wasn’t bad enough, you deal more damage if you let the various nasties get as close to you as possible. Great! Honestly, we’d recommend having a spare pair of trousers to hand when you play this. Based on the classic horror movie of the same name, Alien Isolation dumps you in an old space station and leaves you with a towering xenomorph for company. The next 15 hours or so are spent desperately trying to avoid becoming alien food, with only an absurdly retro motion tracker to warn you when the alien is approaching. When he does appear, you have to scurry for a hiding place and hope for the best (although it turns out hiding behind the sofa in real life is entirely pointless). Outlast is a first person survival horror jaunt that ticks every box on the big list of everything that makes a game scary. Set in an abandoned asylum? Check! Tons of psychopaths wanting to mount your head over their fireplace? Check! No weapons to defend yourself with? Bingo! Five minutes with Outlast is enough to have you calling your mum and asking her to read you a comforting bedtime story. Clocktower is a point-and-click adventure similar to Broken Sword. Unlike Broken Sword, however, you spend the game being stalked by a chap called Scissorman. As his name suggests, Scissorman carries around a huge pair of scissors to cut you into ribbons with. He appears at random, complete with his own scary soundtrack, and the only way to survive is hide, run (remember: this is a point and click game, so running is pretty hard) or stop him with a weapon (although he’ll still come back later). He’s also the reason we can’t look at an innocent piece of stationery without shuddering. What is the scariest game you’ve ever played? Let us know in the comments. And if you just can’t bear the horror anymore, sell your games with musicMagpie! ← [THIS COMPETITION IS NOW CLOSED] WIN a PlayStation 4 and Call of Duty: Advanced Warfare!